Kim has been a real estate professional since 1982. She brings over 30 years of experience in real estate, escrow, mortgage, leasing and property management. Her business dedication and diligence is directed at fulfilling your real estate needs whether it be residential, commercial or industrial. She will do what it takes to meet your real estate needs! Kim Wells epitomizes integrity, energy, hard work and creative service in every detail of your real estate transaction. Kim grew up in Orange County and had her first taste of real estate when she was in grade school. She was in a selling competition to raise money for the school band. She sold to all the local real estate offices. Her first lessons in real estate were directly from REALTORS®; “don’t be shy, look people in the eye and speak the truth”. She also won that contest! It’s no wonder Kim chose the real estate industry with such a positive experience and valuable lesson at a young age. She began her career in real estate financing. 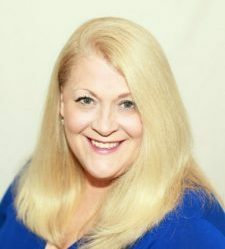 After a lifetime of helping home buyers purchase homes she transitioned to commercial residential leasing and then on to selling real estate. Her experience brings years of knowledge to her buyers and sellers alike. Her solid foundation and skills as a creative marketer and excellent negotiator are vital to your real estate transaction success! Specializing in residential real estate she also has a focus on commercial and industrial real estate as well. She genuinely cares about her clients and their families best interests. She uses modern technology in combination with “old-fashioned” values like professionalism, customer service and morals. Making herself available is something she prides herself on. She is an active member of Pacific West Association of REALTORS® and the National Association of REALTORS®. You can count on Kim Wells! She is honest, committed, caring and will make sure the job is done for you.